Steve receives the Armand Bastien International Award! 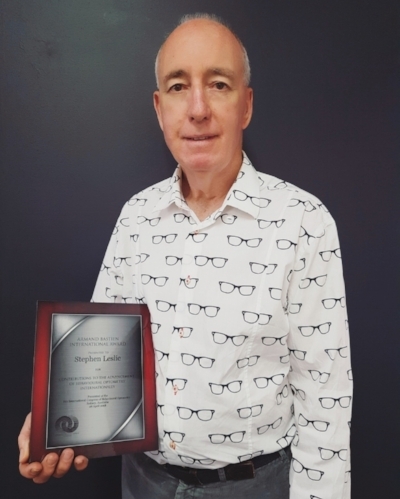 At the recent International Congress of Behavioural Optometry in Sydney, Steve was presented with the Armand Bastien International Award. This is awarded to optometrists who provide outstanding contributions to the advancement of behavioural optometry internationally. An incredible achievement, congratulations Steve! Recycle your old contact lenses and packaging with us!